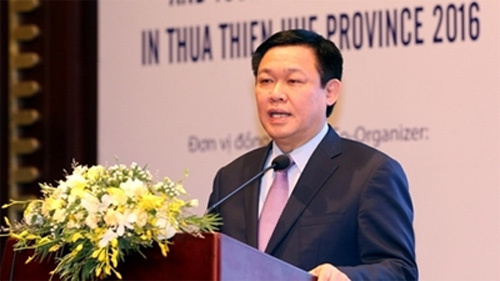 Deputy Prime Minister Vuong Dinh Hue asked the central province of Thua Thien-Hue to develop tourism into its spearhead economy during a local investment promotion conference on August 8. Speaking at the event, he suggested tapping tourism potential based on market economic principles, as well as building special mechanisms to uphold local heritages and boost public-private partnership in relic restoration and upgrades. The province should construct plans to embark on projects, especially the project: “Socio-economic development in Tam Giang-Cau Hai lagoon, the central province of Thua Thien-Hue until 2020,” which was approved by the government in 2009 and aims to build the lagoon into an ecological tourist area, he said. He also suggested holding more thematic discussions on the development of the Chan May – Lang Co economic zone and the Tam Giang-Cau Hai lagoon to attract more investment. On the occasion, the Deputy PM asked ministries, agencies and the Bank for Investment and Development of Vietnam (BIDV) to facilitate the transforming of Thua Thien-Hue into a centrally-run city and a regional hub of culture, tourism, science-technology, health care and education. As one of the five provinces in the central key economic region, Thua Thien-Hue holds huge potential to develop tourism, industry, agriculture and the marine-based economy. However, challenges still remain ahead. 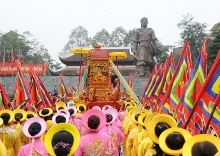 Nguyen Van Cao, Chairman of the provincial People’s Committee, said the province will give priority to developing Hue into a “heritage” city with a high-class well-being and resort area, deserving of the tourism trademark “One destination – Five heritage sites”. In the meantime, Chan May-Lang Co will be connected with Hue, Da Nang, Chu Lai, Dung Quat, Nhon Hoi and Van Phong to create a regional key urban corridor which is a complex of seaports, resorts and innovative industry. Chairman of the BIDV Board of Directors Tran Bac Ha said the lender pledges to assist Thua Thien-Hue in building a socio-economic development master plan, and provide credit for socio-economic development projects for 2016-2018, primarily those on industry, trade, services and hi-tech agriculture. BIDV will also co-organise investment promotion events at home and abroad, as well as join programmes on social welfare and workforce training, such as building kindergartens and medical stations and providing support for the poor, he said. At the event, the provincial authorities presented certificates of investment to 16 investors who registered a total capital of more than VND7.7 trillion (US$350 million) and signed six co-operation agreements with investors and partners. The BIDV also inked an agreement to fund a VND7 billion local tourism master plan, and signed seven other deals to provide funding worth over VND4.55 trillion (US$206.8 million) for investment projects in the locality./.